Kellogg Community College is again hosting a free after-school robotics club for 6th through 9th graders through the spring semester, starting next week. The free after-school club, which is affiliated with the College’s Bruin Bots robotics program for youth, will meet from 4:30 to 6 p.m. Wednesdays and Thursdays starting Jan. 27 at KCC’s Regional Manufacturing Technology Center, 405 Hill Brady Road, Battle Creek. 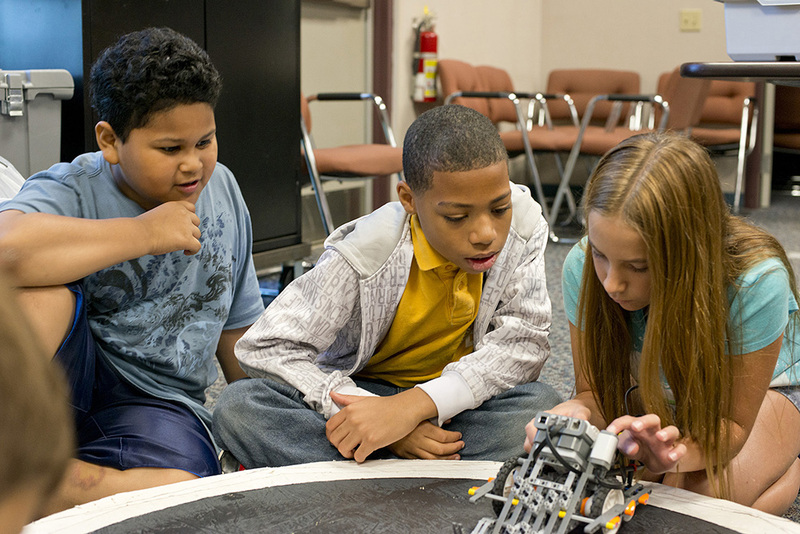 Club participants will receive hands-on instruction in building and programming basic robots, and will not be required to attend all club meetings. While the program is free, space is limited and will be granted on a first come, first served basis. To register, contact KCC’s Lifelong Learning Department, which manages the Bruin Bots, at 269-965-4134 or email ll-info@kellogg.edu. This is the fourth consecutive year that KCC has offered the free after-school Bruin Bots program. The goal of all Bruin Bots programming at KCC – which also includes a fall-semester robotics competition team and youth robotics camps each summer – is to engage youth in exciting, hands-on learning experiences in the fields of science, technology, engineering and math (STEM) while also introducing them to career possibilities in STEM fields.